The 27 years-old, talented Spanish central defender who joined PSG in July 2016 as her first contract out of her country has quickly become a constant feature for the French team. Irene played more than 30 games of all competitions this season and has renewed her contract later with the club for two seasons. Prior to French league, she played in Spain’s topflight clubs (Real Sociedad, Athletic Bilbao, and CD Zarautz). She has already played football at high level and has already achieved much in her football career. Irene won the French cup last season, UEFA Women’s Champions League Runner-up 2016/17, she won the 2015-16 Laliga Iberdrola, She has been named in the 2017 FIFPro Women’s World XI, the first ever Spanish player among those chosen to form the best eleven in the world. 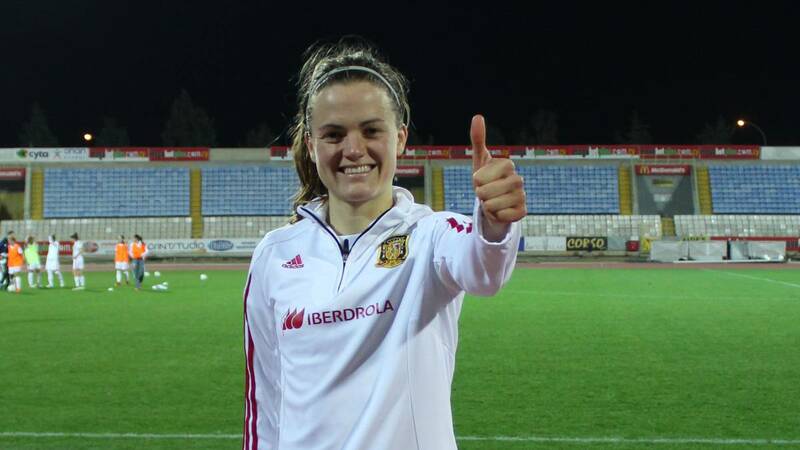 The Algarve cup 2017 best player won this tournament with the Spain women national team that she has already represented in many international competitions having earned 55 caps with 8 goals. She also won the 2018 Cyprus Women’s Cup. LTA Agency are very pleased she has decided to continue the adventure with us and we wish her a lot of success in the years to come.